MZC provides a place for meditation, study and reflection, leading to mindful, compassionate action and inner awakening through traditional Soto Zen Practice. We will work with stanzas from the 7th century poem, The Song of Awakening (Shodoka), to find and share our interpretations and finally add Sawaki Roshi’s viewpoint to the mosaic of understandings. 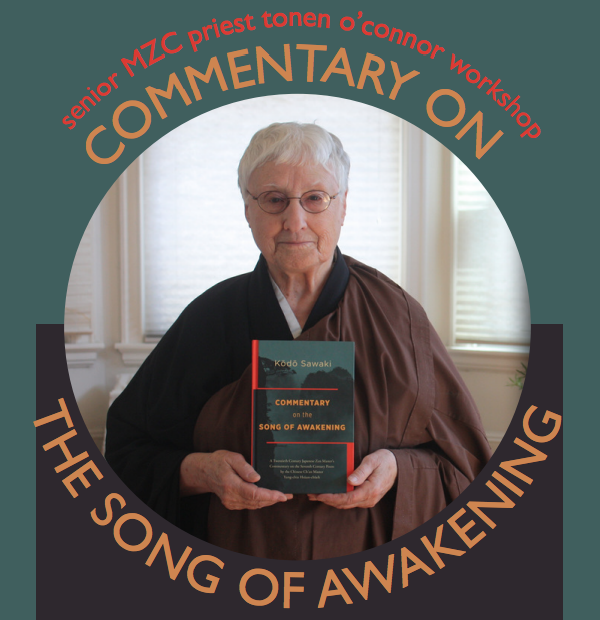 Note: It is not necessary to have read Kodo Sawaki’s Commentary on the Song of Awakening to participate, although it’s recommended as a terrific read.